Texture Treatment: What décor pieces are the easiest to update from season to season? Apartment Therapy says it’s anything with lots of texture! A plush throw blanket or a woven basket are décor pieces you can change from season to season. For ultimate spring vibes, use a blanket or basket in a pastel color or with a fun pattern. Lighten Up: If you spent the winter months bundled in heavy blankets, it’s time to lighten up! Lighten up your bedding, that is. To prepare for Spring’s warmer temperatures, House Beautiful suggests swapping your heavier sheets and blankets for linen fabrics. Linen bedding can also last you through summer! Use Natural Decor: Natural décor has so much to offer! Bustle recommends adding a few stems of flowers in vases around your apartment. 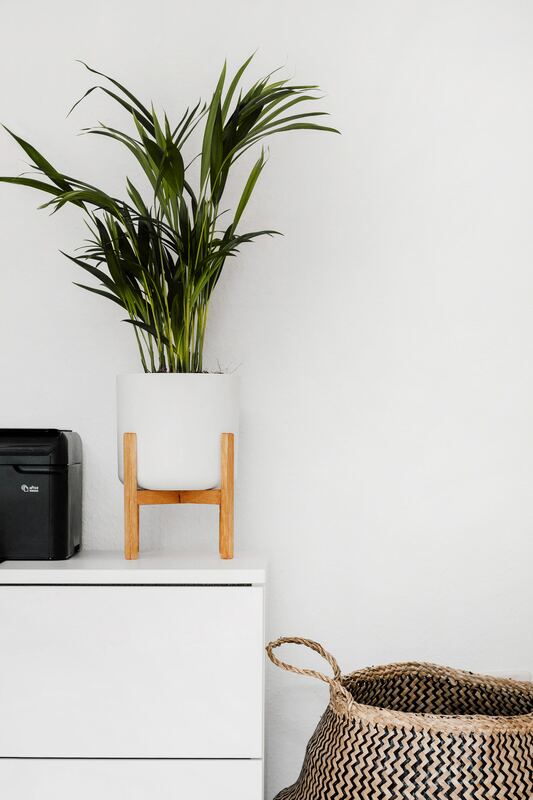 If you want more permanent natural decor, house plants are a great alternative. Natural decor doesn’t just make your apartment beautiful, it also adds delightful fragrances and health benefits to your apartment. Your apartment is ready for the new Spring season! At Abberly Waterstone, we believe it’s how you live that matters. Feeling refreshed and comfortable in your beautiful apartment is important and what Spring decorating is all about. Don’t forget to share your own décor inspirations on our Facebook page!